The 1984 murder of his sister-in-law Brenda and her baby, Erica, was a crime that brought Dan Lafferty a life sentence at the Utah State Prison and plenty of infamy—but, he says, it’s the story of his inevitable escape from prison that will be etched into the gospel of a new epoch. Lafferty, fulfilling the role of the biblical prophet Elijah, is waiting on a signal from God to know when the coast is clear for his jailbreak. One day at noon, he says, a full moon will overtake the sky and shine until 9 p.m. Lafferty and a select few cohorts from the prison will be transported to the small farm community of Salem in Utah County, where he’ll begin gathering a following of the righteous. Prison officials will undoubtedly panic over his disappearance, and when word spreads that he’s living out in the open, they’ll send in the cavalry: SWAT teams, choppers, snipers, the FBI and anyone else with guns and badges who can be spared. Lafferty sees it as playing out similarly to the 1993 Waco standoff in Texas between federal officers and members of the Branch Davidians religious sect, which ended in a bloody siege of the compound. But in this case, Lafferty says, Johnny Law will be no match for his heavenly firepower. While this belief has all the hallmark characteristics of fringe theology, it also dovetails with Lafferty’s political beliefs. After the fire is called down, Lafferty says, he will work to prepare for the Second Coming—not as king, but as sheriff, giving him the opportunity to enact the rule of law that he campaigned on when he ran for Utah County Sheriff in 1982. Lafferty and his brother Ron, have made it into the history books as religious zealots. But their intensity and rigid worldview didn’t first manifest in their exploration of fundamentalist teachings of The Church of Jesus Christ of Latter-day Saints, like polygamy. 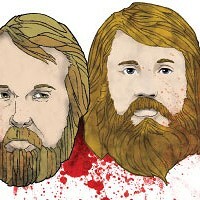 Before that, the brothers took a path of political extremism that set them on a collision course with their own faith. 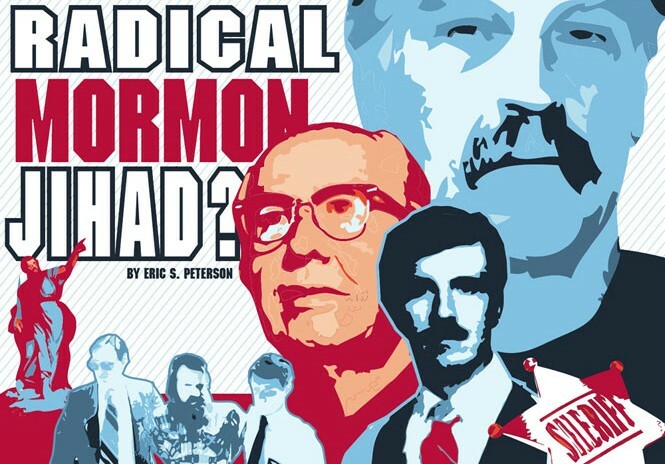 Ron says it was his support of his brothers in their political fundamentalism, not polygamy, that led to his 1983 excommunication from the LDS Church. Ron was accused of rejecting the “laws of the land,” as LDS doctrine requires, and felt betrayed by his faith in much the same way he would later feel betrayed by the justice system. 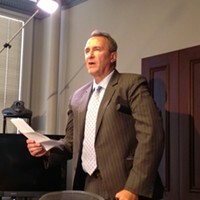 Ron recalls an argument with a defense attorney of his who told him he couldn’t take the law into his own hands. “Well, whose law is it anyway?” Ron fired back in reply. It’s a point Ron has staked his life on, continuing to maintain his innocence and refusing plea bargains—offered, he says, by corrupt prosecutors—that would spare him the death sentence. If anything, he says, his incompetent attorneys are in violation of the Constitution and guilty of capital treason for working against him. 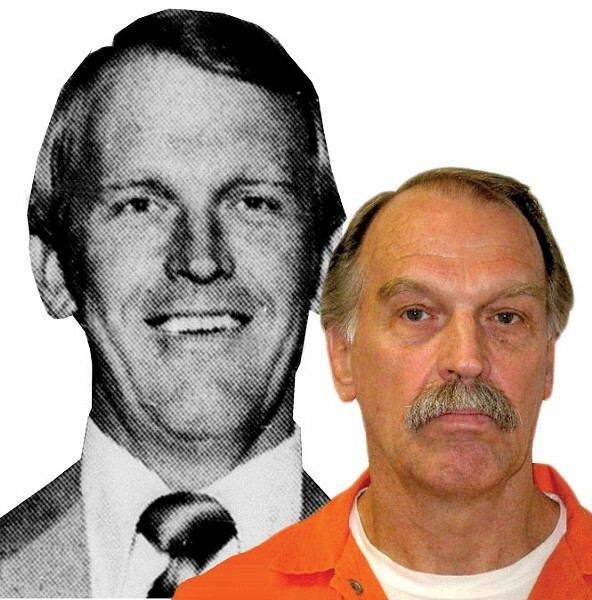 While time has frozen for Ron inside the Utah State Prison’s maximum-security wing, the political landscape has caught up to his defiant anti-government stance—boycotting taxes, business licenses, even speeding tickets—in the decades since the 1984 killings. The take-no prisoners, make-no-compromises marching orders of Tea Partiers in Congress has divided not just Congress but the Republican Party itself. In just the past few months, militia members used guns to keep federal officers off the Nevada ranch of folk hero Cliven Bundy in defense of his right to break the law and not pay grazing fees, and in Las Vegas, a couple went on a shooting spree in order to kick-start a revolution, with cops—puppets of the federal government—as their target. Ron’s crimes may have landed him on the violent end of this extremist spectrum, but his viewpoints are right in line with many hard-right politicos and conservative pundits, and he trots out his own talking points as if he’s a veteran politician. The 1984 killings, Ron says, served a truer justice than the U.S Government is capable of. By Ron’s account, he’s a political prisoner who’s spent 30 years behind bars for standing up for his rights as the head of a household and for defending the strident political activism of his brothers, especially Dan. Much ink has been spilled on the Laffertys’ crimes, but not so much on the times they lived in, or the political and cultural currents of the day that collided with Ron and Dan’s intense personal lives to create a perfect storm of violent fundamentalism. One pivotal moment that informed Dan’s politics came when he was busted by school officials for making and selling sandwiches without a license at the California chiropractic college he attended. But before that, when he was a boy, Dan says, he attended a John Birch Society meeting with his father. When he was older, he attended a course taught by Cleon Skousen, an anti-communist who is often credited with helping to found New World Order conspiracies as a genre of modern paranoid politics. The John Birch Society and Skousen all fed into a profound anti-communist culture of the Cold War era that centered on another influential figure—Ezra Taft Benson. Benson, a firebrand apostle of the LDS Church throughout the 1960s, was known to preach from the pulpit against the evils of “creeping socialism” and “godless communism” and urge the support of patriot groups like the John Birch Society. In a 1993 article called “Ezra Taft Benson and Mormon Political Conflicts,” renowned Mormon historian D. Michael Quinn documented how Benson lashed out at liberal policies he saw as communism in disguise. He blasted the Eisenhower and Kennedy administrations for sending federal troops to help desegregate schools in the South, and took a position that even J. Edgar Hoover wouldn’t, saying that the Civil Rights movement was purely a communist front. 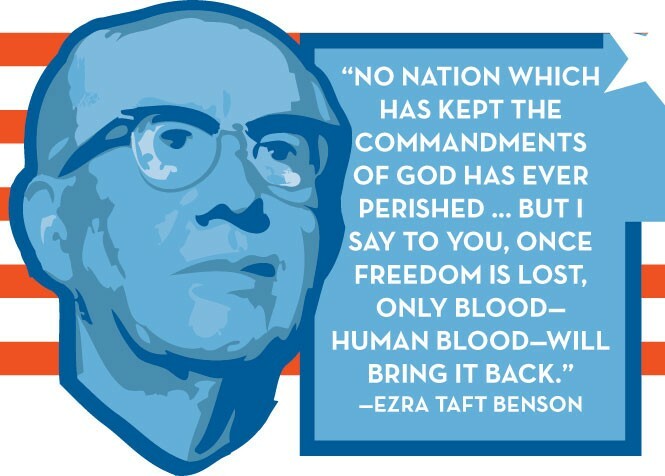 A few years before the Lafferty’s slide toward extremism, Benson warned in a 1979 LDS General Conference talk that if Americans didn’t “return to the fundamental principles of Christianity and Constitutional government,” they would lose their freedom. Both Ron and Dan cite Benson as a figure influential to their politics; Dan actually requested that Benson intervene in his excommunication proceedings, and later subpoenaed Benson to testify in his defense at his murder trial (the motion was quashed). Quinn says Benson supporters clashed with liberal and moderate church authorities, who publicly rebuked Benson’s fear mongering. And Benson himself backed down from many of his political views in the mid-’80s, when he became church president. In a 1992 document, stake presidents of the church compiled a list of 20 warning signs of apostasy. Coming in at No. 3 was membership in the John Birch Society. While Ron and Dan weren’t official Birchers, their politics were closely aligned with the far-right society. Ron sees much evil in FDR’s big-government regime, faulting the president for “encouraging the lower classes to overbreed” and his policies authorizing parasitic moochers to claim benefits they haven’t earned. If one were to scrub a bit of the prison-house salt from Ron’s quotes, they wouldn’t be too far off from statements uttered by standing politicos, like South Carolina Lt. Gov. Andre Bauer, who argued against government assistance because it’s like feeding a stray animal. “You’re facilitating the problem if you give an animal or a person ample food supply. They will reproduce, especially ones that don’t think too much further than that,” Bauer said.